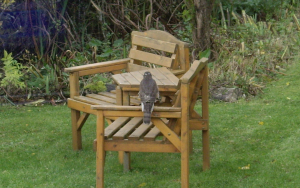 I think this is a Sparrowhawk?. This is the best photograph we have managed to get, usually if flies through as a flash, takes a small bird and is gone. Would they be able to take a Rock Dove? This year we have found the feather remains of four doves in the garden.